Though invisible to our eyes as onlookers, the internal/emotional wounds of abuse penetrate deeply, injuring the soul of a victim rather than their visible physical body. In our communities, whether we realize it or not, we play a role in either empowering victims or keeping them trapped in abusive relationships. This is especially true of our religious communities. Much of the damage and harm we inflict on victims is done through ignorance. With no more than an ignorant question, well-meaning people often over-simplify and dismiss the plight of a victim and/or their long road to healing. 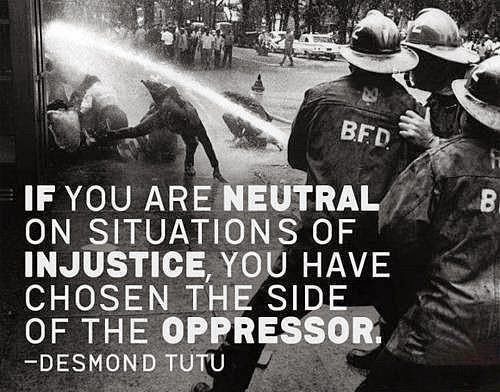 All good and decent people should care about injustice. For those of us who profess Christianity, we must not deceive ourselves that we are truly following Christ if we are not committed to opposing injustice. The opposite of love is not hate; it's apathy. If we can be aware of injustice and not be moved with compassion to relieve avoidable suffering, where is the evidence of our faith? I'd like to offer a list of three simple things we all can do to help a victim feel less alone. 1) Don't ask: "Why do you stay?" or "Why does she stay?" We must stop putting victims under a microscope of shame. When we look at victims in disbelief and ask why they stay, more likely than not, victims feel judged by the question. A victim feels she has to justify herself and defend her choices to you (or the outside world when abuse is discussed by the media). It leaves her feeling embarrassment and shame. At best, the question over-simplifies her complicated situation. Instead, you might consider asking a question that will communicate concern and compassion. For instance: "What are your fears if you leave?" or "What are the challenges you face in trying to leave?" 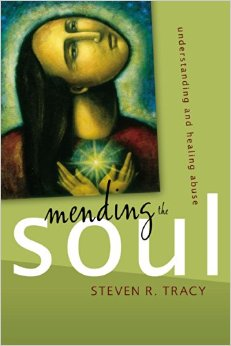 2) Read the book Mending the Soul: Understanding and Healing Abuse by Dr. Steven R. Tracy. This is a book I can't recommend highly enough to anyone who wants to increase their understanding and knowledge of the wounds of abuse. Dr. Tracy is a professor of theology and ethics. His wife, Celestia, is a family therapist and abuse survivor. If you can only commit to reading one book on this subject, I would urge you to read this one. I doubt any of us would ever want to create additional hurt and damage for any victim. 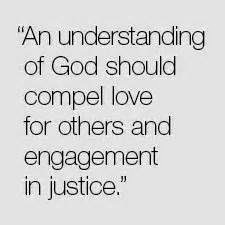 But we fail to realize that lack of understanding and compassion does hurt and damage victims. 3) Consciously reject an attitude of moral superiority. While the question in some circles is "Why does she stay?" -- in our religious communities, a victim is often not permitted to leave without scrutiny. I remember having lunch with a group of friends a few years ago. The subject of marriage was on the table. Each of my friends explained how they had told their grown children before getting married that divorce was not an option. "No matter how hard it gets, you stay and work on it." These were not uncaring, self-righteous women. They were committed Christians who placed a high value on the vows of marriage, as do I. But as they discussed the hard times in their marriages, they were valuing their commitment and determination to work through problems with success. They had remained married to their one and only husbands for many years. And because they had not experienced an abusive relationship, their strong statements made me feel judged as someone whose life included divorce and remarriage. I couldn't imagine that they would have encouraged their own daughters to submit to the abuse I endured for 27 years. But in this conversation, I felt like the failure at the table. I knew without a doubt they were not intending to judge me or my circumstances. But that's exactly my point. Unintentionally, their words implied anyone whose marriage ended in divorce must not have held the same convictions they held. And unintentionally, their comments implied a moral superiority to me or anyone who had been divorced. Many Christian authors and study groups on marriage tend to create a false expectation for the reader or participant that a woman's efforts to be a godly wife will result in a godly marriage. This is not true for the woman who is married to an abusive man. Her efforts will result in being further exploited and degraded. When an abusive marriage ends, it does not mean the victim didn't try as hard as you did or was any less committed. Truth be known, she probably tried much harder than you have ever had to, and her reward was more contempt and abuse. Abuse is rampant in society and you never know who you may be unintentionally judging or influencing with your casual words. Our lack of insight, understanding and compassion may have a profound effect on a victim's life and self-image. We may also destructively influence a victim's perception of God and His view of her with our lack of wisdom. For years after marrying John, I had nightmares that I was still trapped in my abusive marriage. 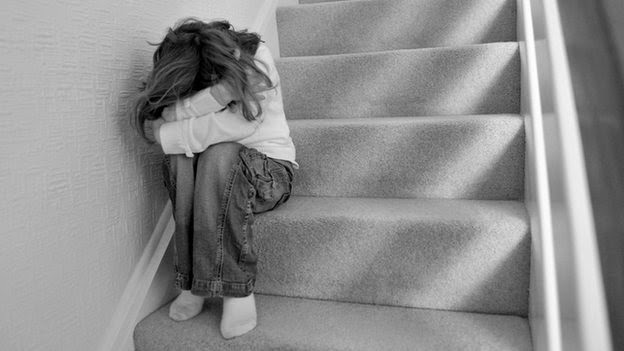 In my dreams, the emotional abuse I was enduring felt intolerable. But the heaviest, most suffocating element of every dream was the weight of how I perceived God. In every dream, I felt trapped in the sense that I so wanted to escape the abuse, but God was making me stay. The perception of His expectations had been deeply branded into my subconscious mind by my spiritual leaders. I'm thankful I now know there is forgiveness for divorce and that God does not intend abused women to carry the guilt and shame for sins committed against them. I wish more religious leaders would wake up to this realization. I have a lot of empathy for your situation as I have been there. A friend once told me after she went through a divorce that she had judged me when I went through one (my husband left me), but she changed her mind after her experience. I have been married and divorced twice and would be justified in marrying again but my choice has been to remain single for over 20 years now. Now people condemn me for choosing to stay single. I have learned to pray for those who judge me. It sure helps. I learned that from the end of Job. My first husband was abusive in every way you can imagine, but the church I was in was also abusive. I finally fled. I am confident in God's love for me now, and most importantly I am no longer a victim even though I was victimized. I have learned grace. I thought of you today when I overheard an argument in the parking lot at the County Office Building. Rather than be silent, I approached the couple and asked if everything was OK. The woman gave me a look of gratitude and said, "I'm fine. I was just going inside. Let me hold the door for you." I sat and talked with her when we were safely in the building. She thanked me for not just walking by, which I easily could have done. I then thought, "If Shari posts today, I have to use this in my comments!" Thank you for your guidance. I have a rule/value that "There is never ever a good enough reason to judge/criticize another person" and I now know how subtle judgment/criticism of another person can be. But even knowing that, as I read your post I could feel myself having an unspoken judgment of "women" (generic women) who stay in abusive relationships. I can even feel it now. Wow. Now that I "voice" it out loud by writing it here, I can feel that old cultural unconscious training evaporate. I hereby apologize to all the unknown women I've unconsciously judged in that way. And I can now feel compassion for your suffering. I really like the alternative questions you give in point #1. Also, took a look at your About page. Thank you for your transparency. I'm sure it is helpful to many. Great post! I think this is a great area in which the majority of the body of Christ needs to be educated. So many times people judge just because they don't understand. I pray that many will embrace the message you are sending out! I am so grateful for all of your kind and encouraging comments! Thank you ALL so much! Tom, I deeply appreciate your honest insight and sharing from your heart on this! It was so rewarding to know my writing impacted you that way. These are some of the best comments I have ever received. Shari, LOVE the post and your blog in general. I have also been in a DV situation, and you describe ways to help very well. Thank You for all you do! Shari, thank you for your post! You speak of lots of truths that many churches and/or pastors won't. I too came out of an abusive marriage. For many years I thought something was wrong with me. It led me to a deep depression and a very lonely time in my life. I didn't speak to others about what was going on. Finally after crying out to God, he showed me that while he gives a very high priority to marriage, he also doesn't expect people to abuse one another. He puts high responsibility on men for the way they treat their families. While scripture states wives are to be submissive, it also states they are to love as Christ loved his people. There is no taller order than that! Husbands are to be submissive to God, his will, and lay down their lives. Ironic how most don't want to go there with that conversation. I will also say that women should not be abusive or manipulative to men either. God helped me get out of depression, have courage and boldness to get out, and has blessed me many times over since! Thank you, Michele and Stephanie! I really felt inspired on this one. I'm grateful to have so much great feedback from readers.